hd00:19A smooth pan of Yosemite Valley. 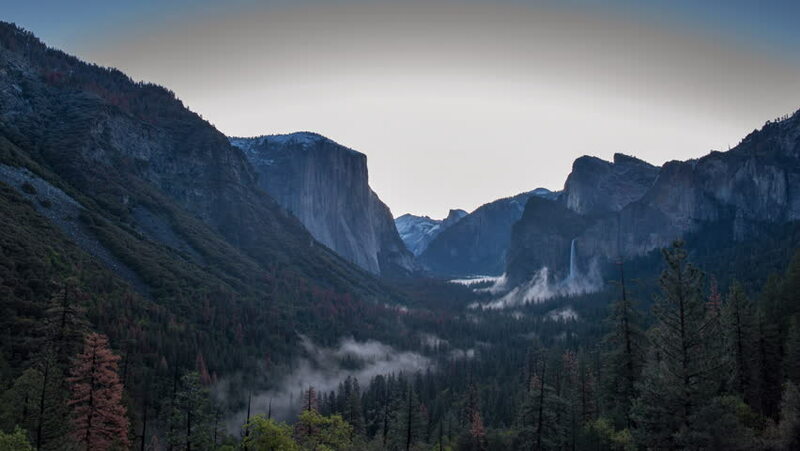 View of is El Capitan, Half Dome, and Bridalveil Falls. 4k00:45Clip at sunset of the Watchman rock formation in Zion National Park, Utah with the Virgin River in foreground flowing.